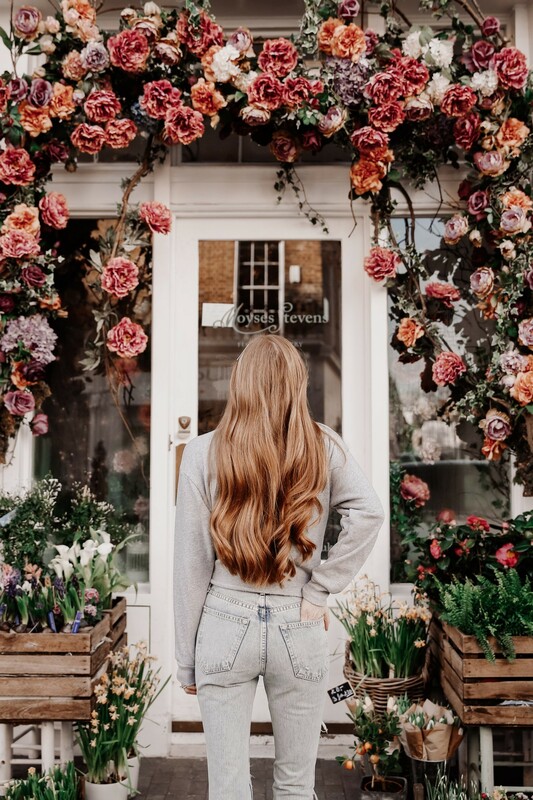 As it’s now officially spring, I thought it would be a great time to share a few of my favorite things to do in London in the Spring. From museum exhibits to pretty blooms, these are the best ways to enjoy all that London has to offer this spring. Visit the Dior exhibit at the V&A Museum. Running until 1 September, the exhibit spans from 1947 to present day – tracing the history and impact of one of the greatest and most influential couturiers of our time. It also explores the influence of the fashion house and it’s relationship with Britain (tickets are completely sold out, but they do release a limited number each morning at 10am at the museum. Arrive around 9:30am on a weekday and you should be able to score a pair!). After the exhibit, be sure to pop over to the nearby Berkeley Hotel for Dior afternoon tea! Check out the Chelsea Flower Show. The 2019 show runs from May 21-25 and is held on the grounds of the Royal Hospital in Chelsea. It’s one of England’s most prestigious flower shows – Kate Middleton even designed a garden this year! While the show itself is not to be missed, be sure to take a stroll around Sloane Square and down the King’s Road afterward. The shop fronts go all out with floral window displays. It’s definitely Instagram heaven! If you’re on the hunt for Cherry Blossoms, look no further than Regent’s Park. They have clusters of the blooming trees near Avenue Gardens, and make for some stunning photos (pro tip: if the weather allows, pack a picnic lunch to enjoy at the top of Primrose Hill. It has really nice London views!). 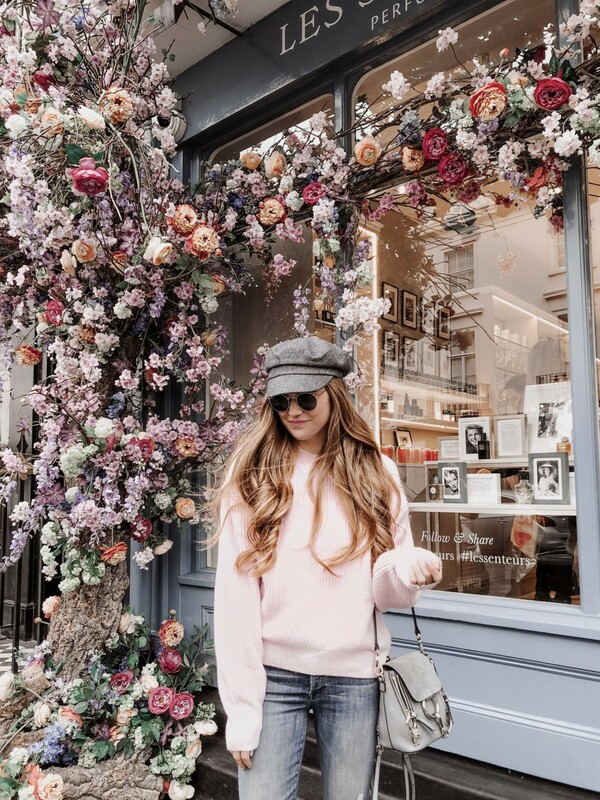 If blooms are what you’re looking for, I also recommend roaming around Notting Hill and Kensington. You’ll find some stunning Magnolia and Wisteria blooming in front of the gorgeous homes. Stop for an afternoon treat at the brand new Peggy Porschen right on the King’s Road in Chelsea – it just opened last week! It’s very similar to her original Belgravia location, but the new cafe has a much bigger and elevated indoor space. It’s the perfect spot to grab a cappuccino and rest for a bit (with a slice of her famous cake of course!). Head to a pub and have a drink outside. One of my favorite things about London is that you’re able to drink outside of the pubs and enjoy a glass of wine with the sun shining on your face. As soon as the weather warms you’ll see loads of people doing this – it’s always a really fun atmosphere, especially in spring when the weather is just starting to warm up! Loving this things to do in London in the spring feature? Take a look here for more of my London life favorites! I am dying to get back to London!!! All of this sounds so great. London is my favorite place! I would love to live there one day! I’ve never been to London, but its definitely on my travel wish-list. I just love London! Definitely saving this post for my next visit! This is such a great list! Love your outfit and handbag!! London is one of our favorite places to visit. Always love going to local pubs and enjoying a pint. We haven’t been to the Chelsea market, we will definitely be checking that out on our next trip. This makes me want to visit London even more intensely than I did before (and I REALLY want to visit London)! Such a great post and I want to go to London so bad! Definitely have it on my travel list! I love London and Cherry Blossom Trees, I want to go back! London sounds so amazing in the spring! I’d love to go there in the spring.